Frogmouth originally formed in 2010 in the Mid Nth Coast town of Bellingen N.S.W and are a household name in the area due mostly to their engaging live performances and the recent release of their debut album “ Less is More “ . Gerry Quinn on Vocals and Blues Harmonica is a seasoned and confident front man having toured the UK, the US and Australia over the last three decades. Warren Cox on Guitar has worked in support acts for the elite of the Oz music scene including Dragon and Richard Clapton, in venues such as Chequers, Whisky A Go Go, Bombay Rock and the legendary Bondi Lifesaver. Brad Ross on the Guitar and Harmonies is another well rounded performer having recorded his own Blues and Rock album titled “ A Matter of Time “ and has extensively toured the country from top to bottom. 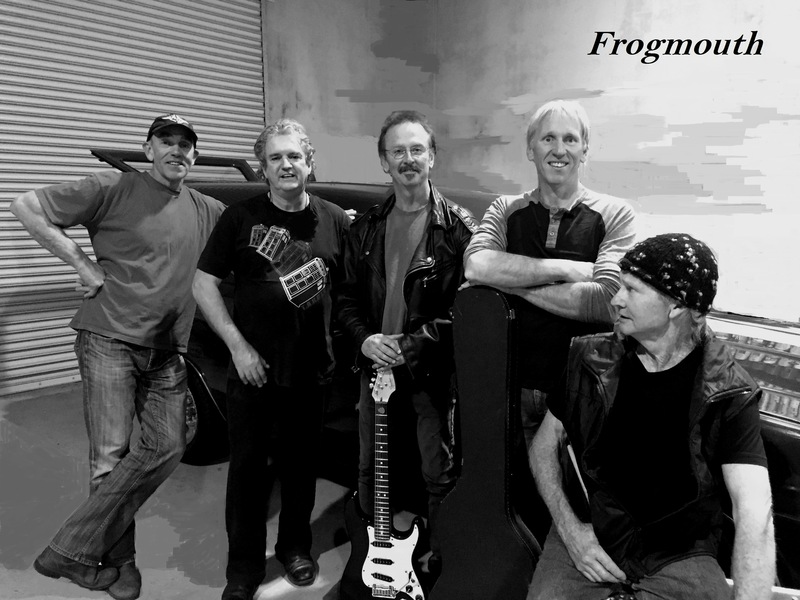 Will Pregnell well known local musician is on the Bass and Harmonies provides a smooth driving bluesy undertone that holds the Frogmouth sound together. Steve Shields on the Drums and Harmonies earned his stripes in the Newcastle pub scene and is a true entertainer ensuring a good groove and dance floor backbeat.